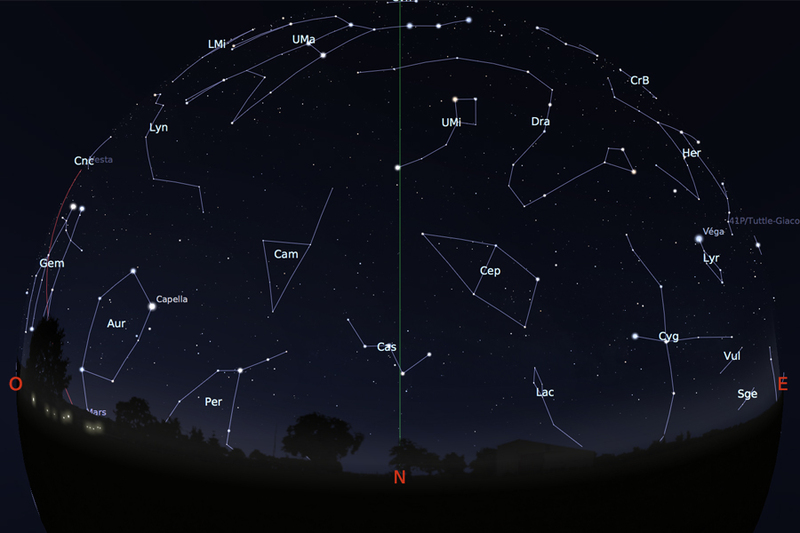 Sky maps looking North and South in Paris, on the 15th of may 2017, at 23 h civil time. These sky maps show the bright stars and planets visible from the northern hemisphere, looking Sout and North, on may 15th 2017 (23h). The vertical line corresponds to the projection on the sky of the local meridian. The red arc on the Southern horizon represents the ecliptic (the annual path of the Sun). In its apparent motion along the ecliptic, the Sun is accompanied by several neighboring planets. Those which are to the East can be seen at sunset and at the beginning of the night, depending on their elongation and magnitude, while those which at to the West will be visible at the end of the night and at sunrise, again depending on their elongation and magnitude. The following figure shows the configuration for may 15th, 2017. 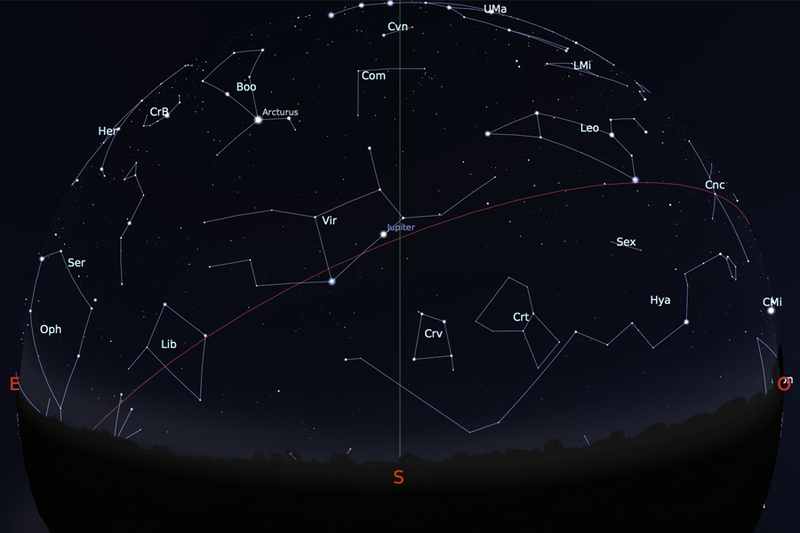 The sky maps were created using the free software Stellarium.